Spain’s recent campaign against freedom of speech continues, as they shut down a website protesting the first book banned by the government in over thirty years. The Madrid Booksellers Guild set up the site so the text of Don Quixote visually recreated the text of Farina, to show the arbitrary futility of book banning in a digital age. Sadly the website was shut down by a court order last week, demonstrating that censorship is dangerous even in the age of the internet. Before it was shut down the website used Don Quixote as a giant word bank, literally highlighting each word in Farina one after another. For names or words not in existence in the 17th century tome, the program highlighted the proper syllables to recreate the word. It was not a process designed to legitimately read the book, that would be more tedious than titillating. It was meant to show how inadequate censorship is with technology available. They chose the Cervantes’ classic because they knew the government would never ban the beloved text. Which remained true, despite the court order. 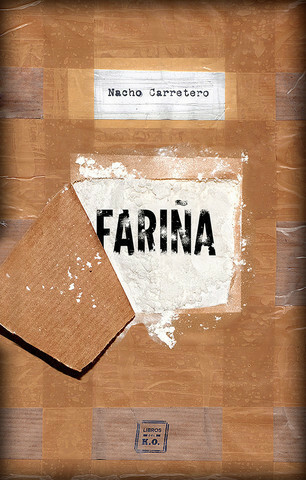 Farina, which translates to Flour (slang in Spain for cocaine), was a modest selling nonfiction book about drug trafficking published in 2015. In the beginning of 2016, Jose Alfredo Bea Gondar sued the author and the publisher claiming the book slandered him, for the claim that Bea Gondar worked with the cartels and local crime syndicates to smuggle cocaine into Spain. The former mayor was convicted and sentenced to four years in jail for these acts in 2001, but he was later acquitted after a key witness withdrew his deposition. Bea Gondar was then convicted in 2005 for laundering money obtained from drug trafficking. He spent three years in jail. . . Bea Gondar is only mentioned in two lines in Farina. It wasn’t until now that his name and story have come to be known across Spain. The judge was able to ban the book “by upholding Jose Alfredo Bea Gondar’s claim that his honor must be protected.” And while that claim in and of itself is not uncommon in Spain, the resulting ban is. Usually a book seen to be at fault in a case like this, only needs to change the offending part – in this case two sentences. This is just one of many incidents being reported out of Spain recently about the oppression of free speech. Last month, prison sentences were issued to rappers with lyrics that were seen as supporting terrorism and criticizing the Spanish Crown. Around the same time “a government-funded body running the venue for the prestigious Madrid’s International Contemporary Art Fair” removed an exhibit it titled “Political Prisoners in Contemporary Spain.” They argued that it wasn’t censorship, but an editorial decision designed to regain attention the exhibit stole from the fair.